These are our 10 best vacation spots list. Keep in mind such a list is always highly personal and subjective (classy subjective in this case), even considering how much effort we go to to get feedback and introduce our others experiences into the equations. 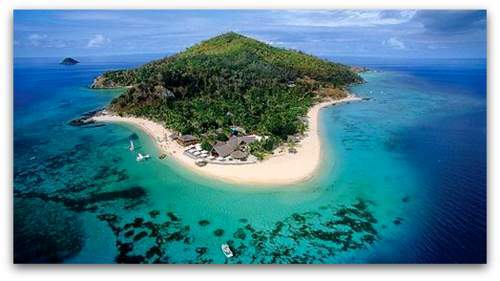 The Caribbean is the obvious place to begin with a host of fantastic island all ready to provide your every need. From the beautiful beaches of Turks & Caicos, Aruba, Antigua and the magnificent and best of all Bahamas to the more romantic Barbados, these island dish up a banquet of pleasure. Great all inclusive resorts in places like the Dominican Republic and Jamaica have what it takes to provide all inclusive memories for you as well. The chance to get out on the water with your loved one often helps you connect to a place and your family and makes for a great vacation activity. 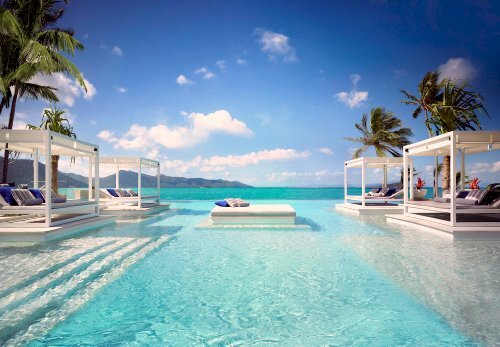 Other options for great luxury resort vacations around the world are almost as broad as blue seas that surround these marvels. 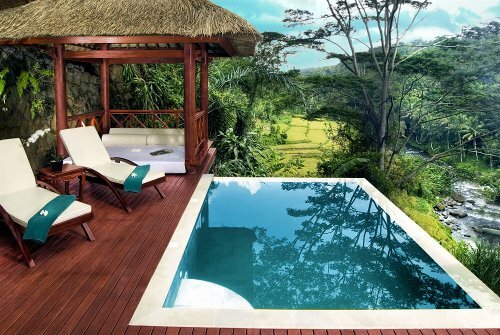 Bermuda, Boracay, Fiji, Maldives, Mauritius, Roatan, Tahiti, and Bali conjure images of paradise for good reason. With a perfect climate even in the extremes of the year, Hawaii is a non-brainer for this list. 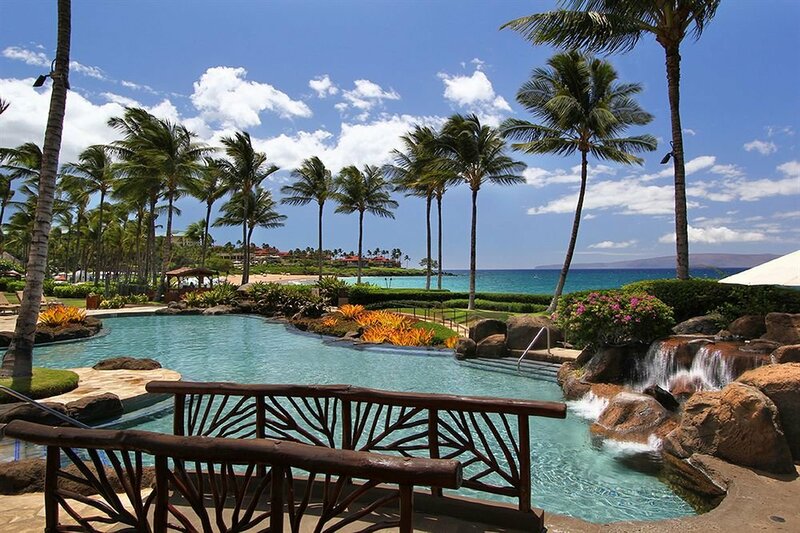 The Big Island and Lanai, Maui, Kauai and Oahu all provide a great experience on their own but there is always the option to get a look and more island through island hopping or taking a cruise. You can even cruise from the United States, Australia or Tahiti to name a few. 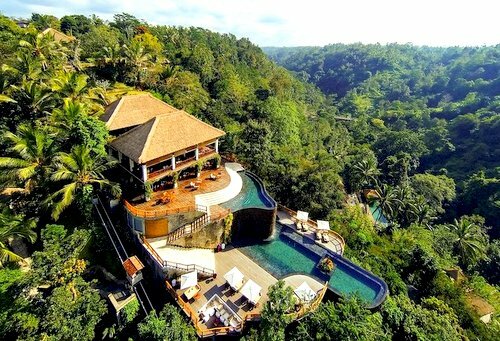 Our Bali Luxury Resorts have stayed in my mind as some of the most luxurious and culturally rich anywhere. This is a place you could not design better if you set out to create an ideal holiday destination. 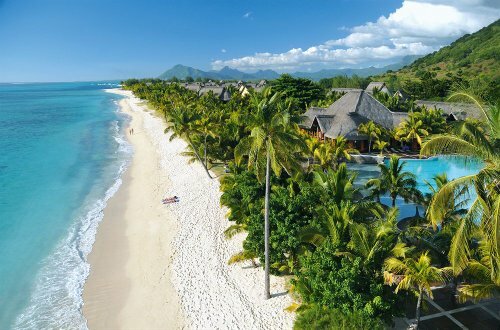 If it were not for the throngs of Aussies that have already found out about this little piece of paradise already, this destination would feature higher up the list of best places in the world to travel to. Thailand is safe enough to take a family and like anywhere some places are better than others. 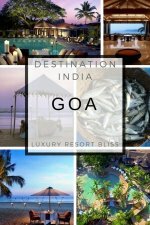 The luxury tourist destinations like the Phuket Thailand Hotels and other great Thailand luxury resorts are both affordable and offer a large range of cultural and exciting activities. Koh Tao luxury resorts and the magnificent Koh Phi Phi, Thailand options will blow you away with their happy hospitality abilities and willingness to make your vacation memorable. The west coast is great for the variety it offers. Depending on how far you would like to travel and the range of experiences you are looking for the options are almost as vast as the Rocky Mountains themselves. 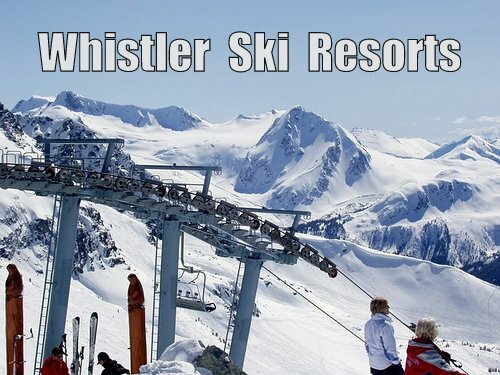 Combine an Alaskan Cruise with an expedition in to Canada's Lake Louise or Whistler ski resort. With an economy on the slide your tourist dollar can help support the people of a rich and treasured culture set amongst the impossibly beautiful Mediterranean setting. 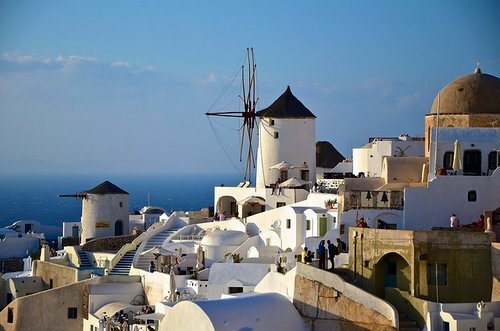 We have selected some of the best Greece all inclusive resorts as well as some beach resort Greece options that will blow your mind. I am not trying to alienate the majority of readers of this website by putting United States Holidays at number 8. But chances are you have already considered having a vacation at home. And if you are visiting from overseas at the moment you will enjoy a better than usual exchange rate. 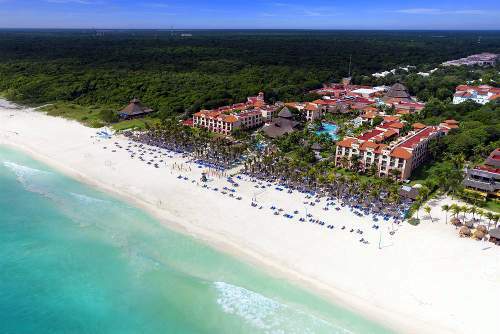 Mexico has some magnificent all inclusive resorts in this part of the world continue to sparkle and dazzle travel enthusiasts. Read the reviews and you will quickly discover visitors are very much enjoying their clear blue waters and excellent hospitality in this corner of Mexico. 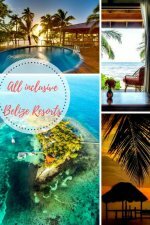 Best Mexico All Inclusive Resorts: Acapulco, Akumal Beach, Cancun, Cancun family, Cozumel, Ixtapa, Los Cabos, Playa Del Carmen, Riviera Maya, Tulum. I told you it was subjective I happen to live in Australia and think it is the best place in the world for a vacation. In my case, a long vacation writing this website. Although putting Australia at the top of the list is perhaps a reaction to Australia missing some prominent lists that seem a little America focused. 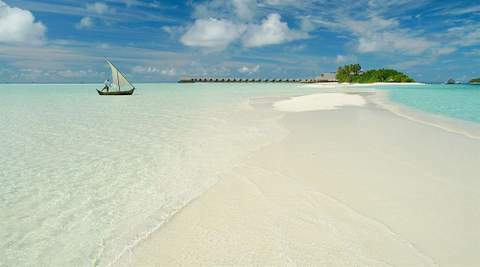 For example how could these beaches not make the best beaches in the world list? - Australia's Best Beaches. Sydney has come in at the pointy end of TripAdvisor's Top Destinations worldwide only behind Capetown South Africa recently. 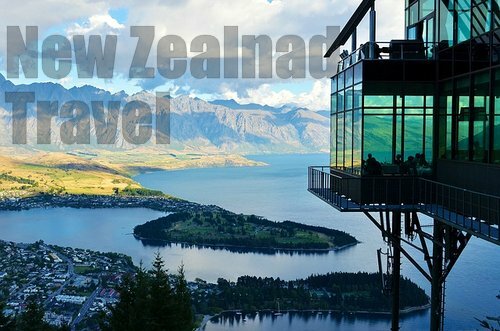 Queenstown also did well in the same survey and the Whitsunday Islands featured in Frommers list of the top destinations in the world as the best place to get lost (whatever that means). Australia has also maintained some magnificent natural attractions like the Whitsunday Passage, Fraser Island, Tasmania and perhaps anywhere on the coast there is a beautiful untouched beach or community to explore. Australia also has some great fun family vacation spots like the Gold Coast with its theme parks, mountains to explore and golden beaches and the more naturally attractive Sunshine Coast. Thanks for viewing. Compared to the USA today list of the best places in the world to visit, we think our list offers more variety. Enjoy your vacation!